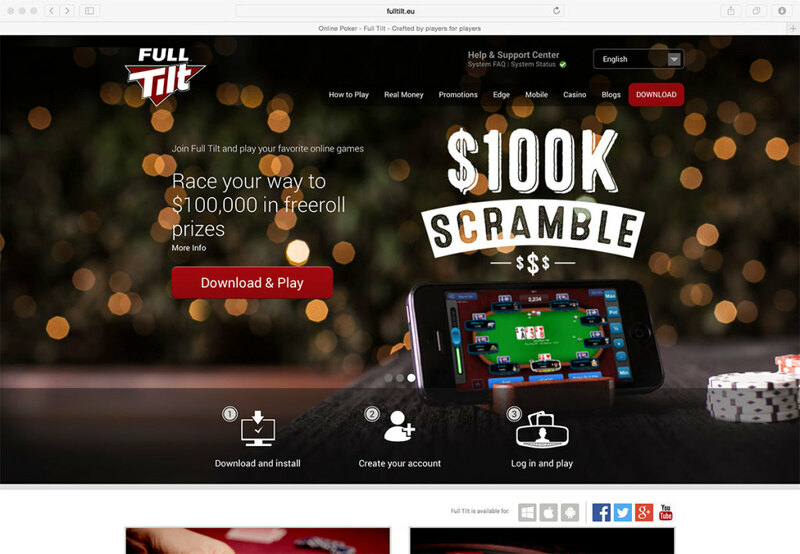 This week’s redesign is about the start page on Full Tilt Poker’s website. It is a quick fix to give the players another option to download the poker software. Players can click on the red “Download & Play” button to download the poker client, but they can not click on the guide (step 1 – 3) which I believe should be possible. The only thing I would add is to make the area with the blue border (it is just to show the area) should also be clickable and let the player download the poker client.